Ω-Zyme—a whole food blend of 20 vegetarian digestive enzymes to aid in digestion. 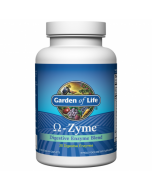 Garden of Life Omegazyme contains over 20 different digestive enzymes like protease and amylase, and is the most powerful digestive enzyme product available.It aids in the digestion of proteins, carbohydrates, dairy products and the difficult to digest foods such as broccoli, nuts, seeds and beans and contains up to 20 times more lipase for fat digestion than the leading brands .Garden of Life's Omegazyme™ is high in sugar digesting enzymes to handle large quantities of sugars and starches. Protease Blend - Blend of 5 proteolytic enzymes including peptidase which aid in the digestion and utilization of dietary proteins. 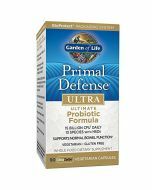 Helps deliver the specific nutrients necessary for muscle and tissue repair, as well as for vibrant immune system function. Glucoamylase - breaks down carbohydrates, specifically polysaccharides. Malt Diastase (Maltase)-digests maltose, malt and grain sugars. May help relieve environmental sensitivities and allergies. Alpha-Galactosidase - aids in the digestion of difficult to digest foods such as beans, legumes and cruciferous vegetables such as cabbage, broccoli and cauliflower. Lactase - digests the milk sugar lactose. Extremely useful for individuals suffering from lactose intolerance. May be beneficial for those suffering from irritable bowel syndrome and other digestive disorders in which a high percentage are adversely effected by dairy products. Cellulase - digests fiber cellulose into smaller units which include D-glucose. Helps remedy digestive problems such as malabsorption. Cellulase is a very important enzyme because the human body cannot produce it on its own. Xylanase-breaks down the sugar xylose. Papain - similar to the chymotrypsin, a protein digesting enzyme produced by the body. Used to treat chronic diarrhea and celiac disease. Treats gastrointestinal discomfort due to intestinal parasites. Poten-Zyme Ginger Extract - one of the most potent herbal digestive aids. 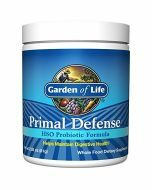 Contains extremely potent protein digesting enzymes. Frequently used to treat nausea and motion sickness. Poten-Zyme Turmeric Extract - popular Indian spice which is commonly used to improve digestion and reduce stomach discomfort. Poten-Zyme Barley Grass Extract - one of nature's richest sources of alkaline forming minerals and antioxidant enzymes. 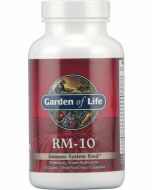 Provides the mineral co-factors necessary to enhance the functions of the enzymes. Poten-Zyme Cat's Claw Extract - called the "opener of the way" by a physician who treated hundreds of people suffering from digestive problems with this powerful herb. Cat's claw has been used for hundreds of years by native Peruvians as a treatment for digestive problems, urinary tract infections and arthritis. Adults take 1-4 caplets with each meal, and 1-2 caplets with each snack. Other Ingredients: Microcrystalline cellulose, sodium croscarmellose, magnesium stearate (vegetable source), silicon dioxide, probiotic cultures, starch.